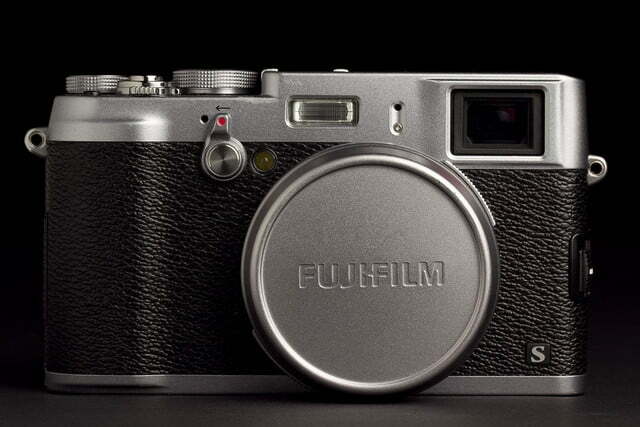 After using the X100S for a while, it’s easy to see why Fujifilm remains a force in digital photography. If you’re looking for a compact camera with a large sensor and prime lens, this is a camera for you. The invasion of the large sensor cameras with fixed focus lenses continues. It’s not epic levels but there’s definitely been a veritable wave of these babies flowing into our offices over the past few months. And who are we to argue about a trend of superior quality cameras that tingle the spine of any photographer? 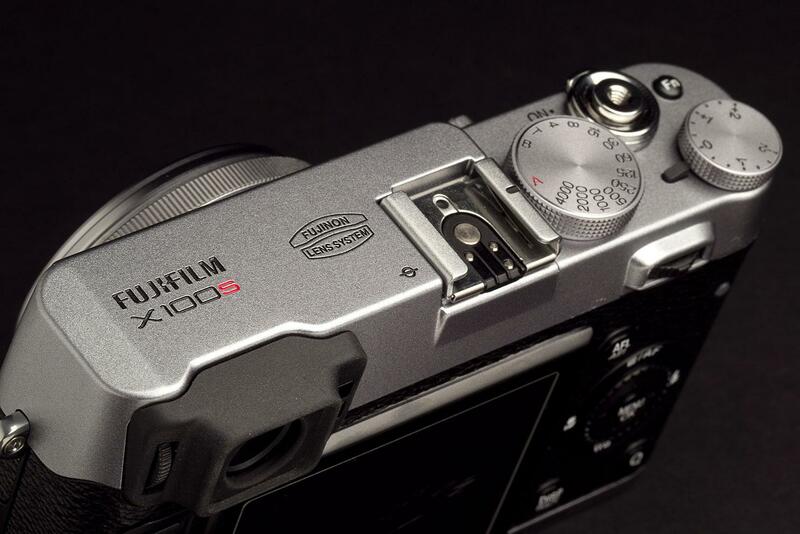 Here’s how the newest 16.3-megapixel APS-C Fujifilm X100S handles. Open the carton and you’ll feel like you’ve stepped through one of Stephen King’s ever-present time vortexes. 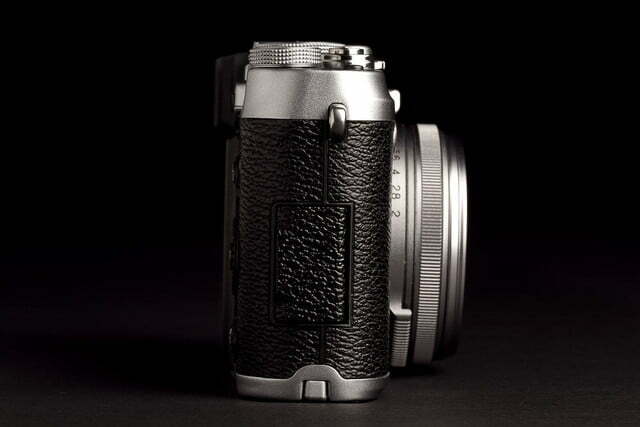 The X100S looks like a rangefinder film camera from the 1950’s. Although high-priced at $1,300, it’s not Leica expensive – the granddaddy of all rangefinders – nor does it fit the classic definition of those venerable instruments or work like one. The X100S is more like the $1,100 Nikon Coolpix A, $800 Ricoh GR, or $999 Sigma DP3 Merrill, a trio of digicams with large sensors and prime lenses. The $2,800 Sony RX1 doesn’t fit into this grouping because of its high price, and the same holds true for the $1,999 Leica X2. When you step back, the Fujifilm is a bargain! 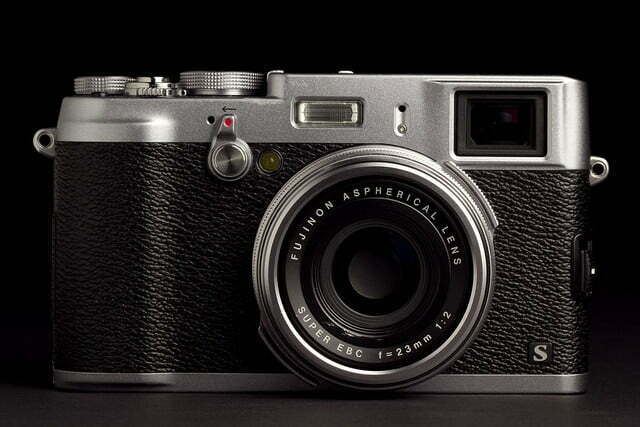 And forget about getting a break with the X100S – it hasn’t budged from list price since day one. Enough about pricing. This is a serious camera designed for serious photographers. It is so loaded with features that a long walk through the owner’s manual is an absolute must. How serious? Check the camera out and you won’t find a dial for quickly accessing modes such as Smart Auto nor will you find the nearly ubiquitous red-dot movie button. In fact, there is no Auto mode or Scene options. 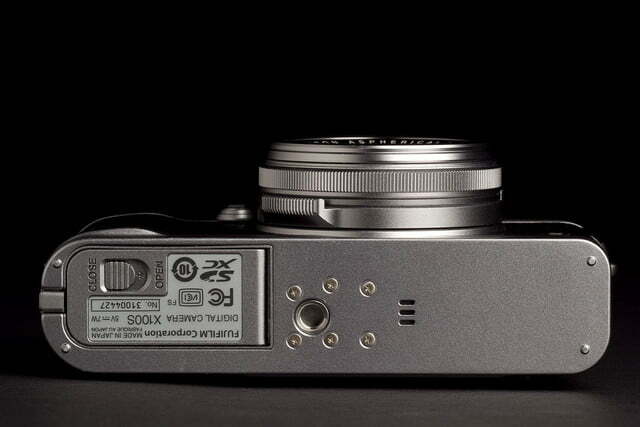 The X100S simply has Program AE, Aperture- and Shutter-Priority, as well as full Manual. You’re basically on your own, my friends, but that’s the way some people just love taking photographs. 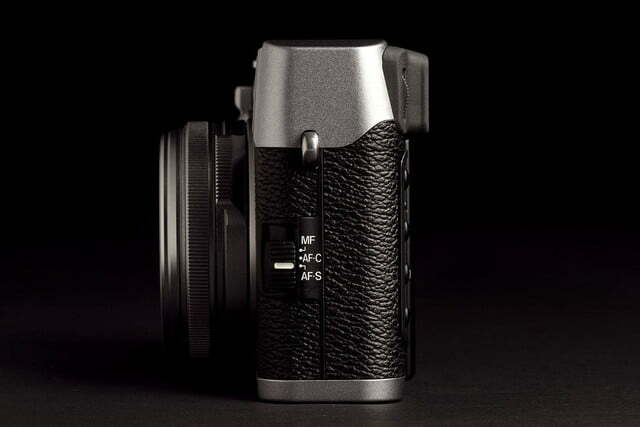 The X100S has a nicely textured finish and measures 5 x 2.9 x 2.1, weighing 15.7 ounces fully loaded. 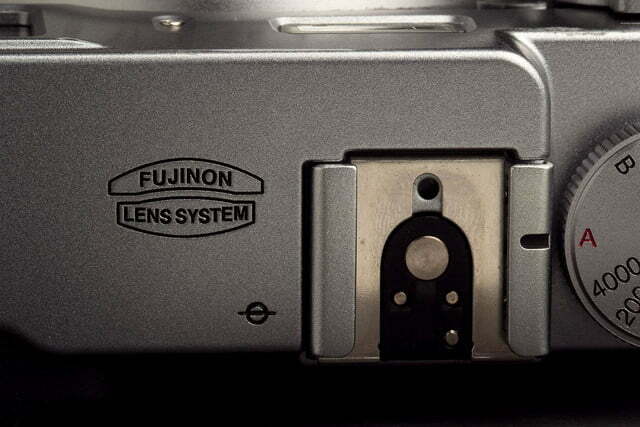 Two items stand out on the front: the Fujinon f/2.0 35mm equivalent lens and a large porthole viewfinder. 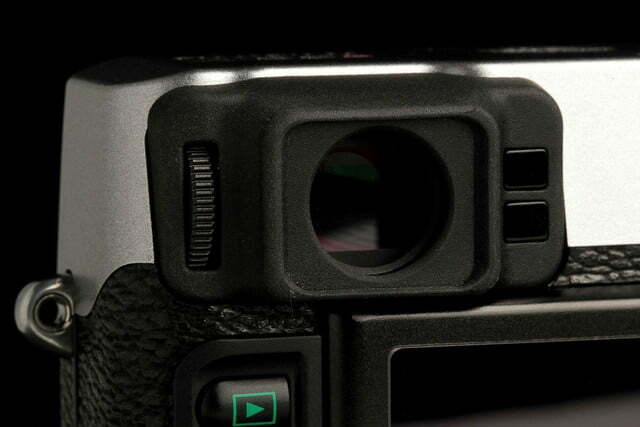 This is home to the Hybrid Viewfinder that’s a combination of a classic optical and more modern electronic VF. Depending on your viewing desires, you can change between the two by flicking a switch on the front (see photos). This “switch” is homage to older film cameras when a similar feature was usually for the self-timer. The VF is great since it lets you hold the camera up to your eye rather than at arm’s length with the rather smallish 2.8-inch LCD display on the back. 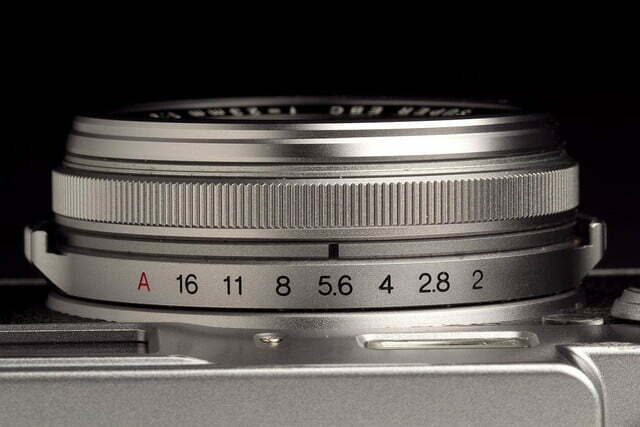 The lens has one of our favorite features – an aperture ring ranging from f/2.0-16. If you want a shot with a blurred background, just use a low number. Want more of the scene in focus, just ramp it up. There’s also an “A” setting here and we’ll detail its importance shortly. The lens can accept optional wide conversion lenses or a lens hood. Also on the front are stereo mics and an AF Assist lamp. 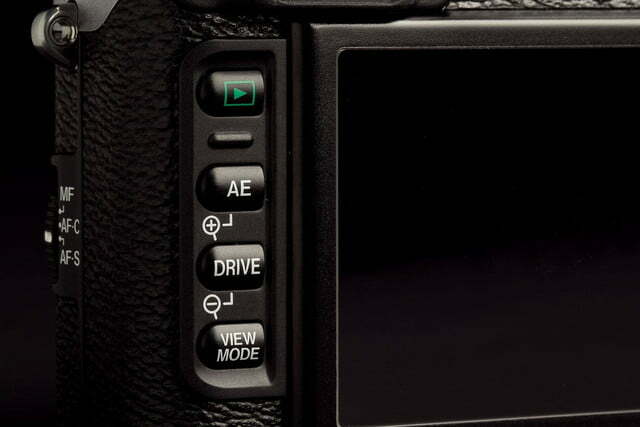 Like the Coolpix A and Cyber-shot RX1, there is no zoom. If you want to get in close to a subject, you’ll have to use your feet. 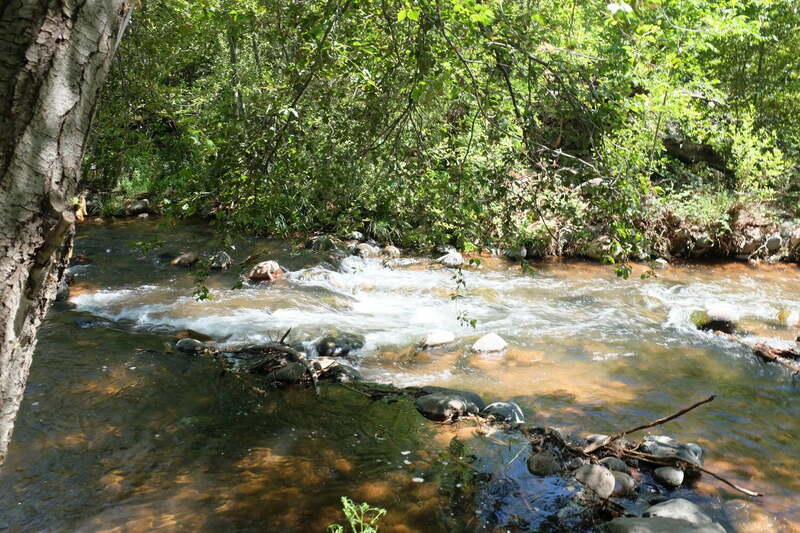 It’s another reason why this camera may not be suited for casual users who are used to having an optical zoom. The top deck is home to another feature that puts you in the wayback machine: a large dial for adjusting shutter speeds. You can pick from Bulb to 1/4,000th of a second (an “A Auto” option is also available). 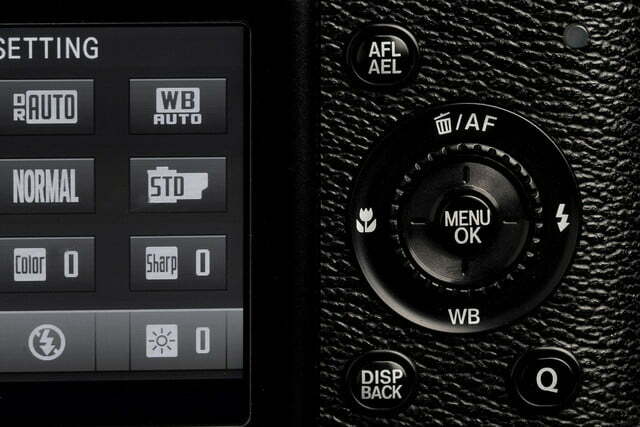 There’s a separate dial for exposure compensation too (+/-2 EV). You’ll also find a hot shoe, a programmable Function button (ISO is the default), and a combo on/off switch with a shutter button. 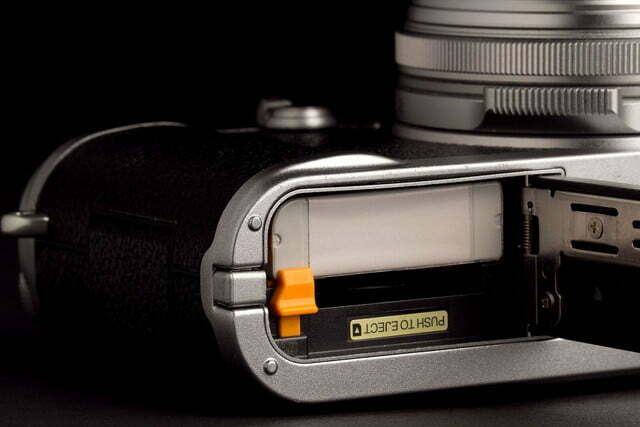 Given the camera’s “old school” roots, the shutter accepts an optional cable release. This is an excellent camera for methodical shooters. It’s definitely not for a grab-and-go person who wants a do-it-all camera. 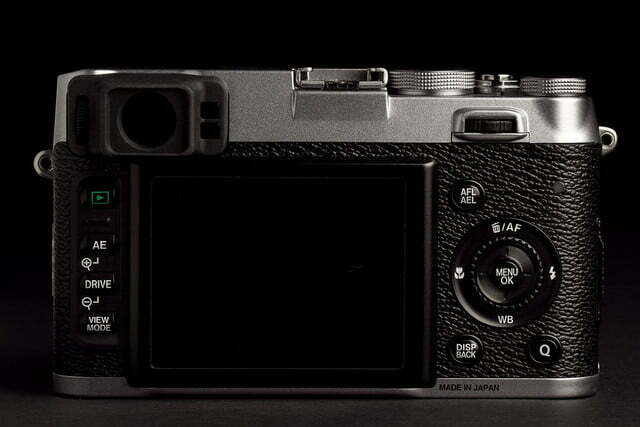 The rear of the X100S has the fixed position 2.8-inch screen, rated a decent 460K dots. Given all the new cameras with bigger, tilting screens and more advanced technologies this is a bit of a disappointment, but it worked well enough in one of our test beds – under Arizona sunshine. You’ll probably use the Hybrid VF more often and it’s a beauty – in the electronic mode, the frame is bright and clear, plus you can see the impact of your adjustments (effects, exposure compensation, etc.) in real time. The specs for the .48-inch EVF are 2,360K dots with a 100-percent field of view. In the optical mode the field-of-view is 90 percent plus there’s a nice superimposed frame with key parameters shown, but you won’t see image adjustments as you would in EVF mode. The Hybrid VF has a diopter adjustment and an eye sensor that turns on the EVF if you quickly bring the camera to your face. 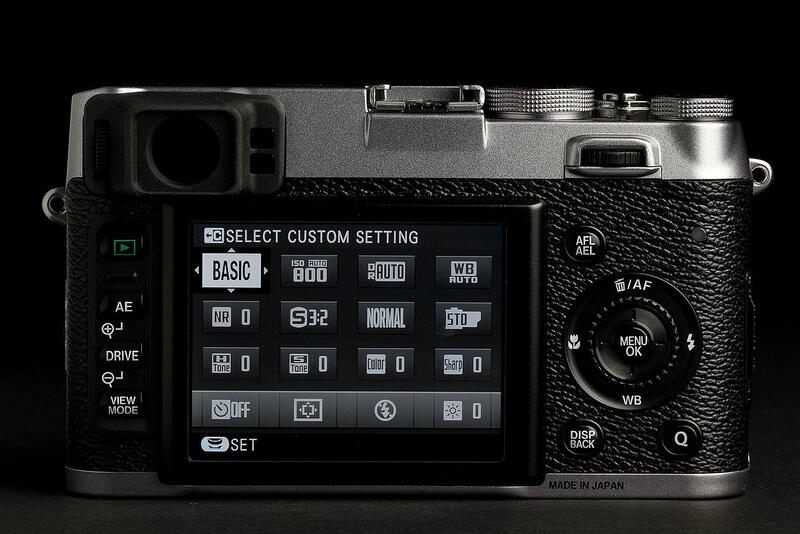 There are loads of buttons on the back including Playback, AE/enlarge, Drive/decrease, and View Mode. AE lets you adjust metering while Drive gives you a choice of frame rates (6 frames per second is the max), ISO/AE/Film simulation/Dynamic Range bracketing, Multiple Exposure, Panorama, and Movie modes. Top resolution here is 1080/60 fps in the H.264 MOV format with linear stereo PCM sound. Unfortunately the longest clip is 10 minutes but we doubt many people take video clips for that long anyway; if you’re looking to make a feature film you might want to try something else. To the right of the screen are keys for AFL/AEL, Display/Back and Q to quickly access and adjust 15 parameters for the basic camera and three Custom user settings. There was a reason we strongly urged the buyer of this camera to really read the Owner’s Manual; you can go tweak crazy if you’d like as you delve into the 15 options. We definitely did not like the second fixed ring around the four-way controller with its center Menu/OK button. We found it made making adjustments more difficult than they should be. 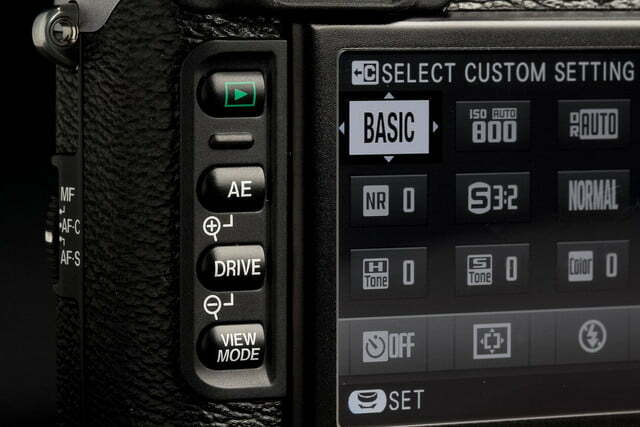 The points of the compass give you access to AF, Flash, White Balance and Macro. Also to be a bit picky, we’re all for walking down memory lane but the X100S menu system is layered and a bit clunky. We don’t expect swipes and taps but an update would be appreciated. 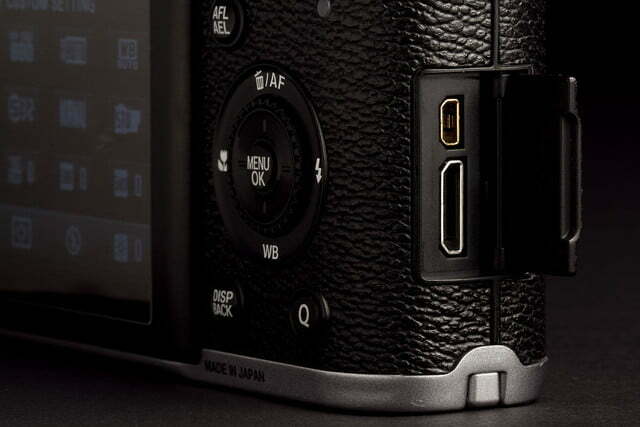 The right side of the camera has Mini HDMI and USB outs while the left has a switch for focus (manual, AF-C, and AF-S). On the bottom you’ll find the battery compartment, SD card slot (UHS-1 compatible), and a tiny speaker. 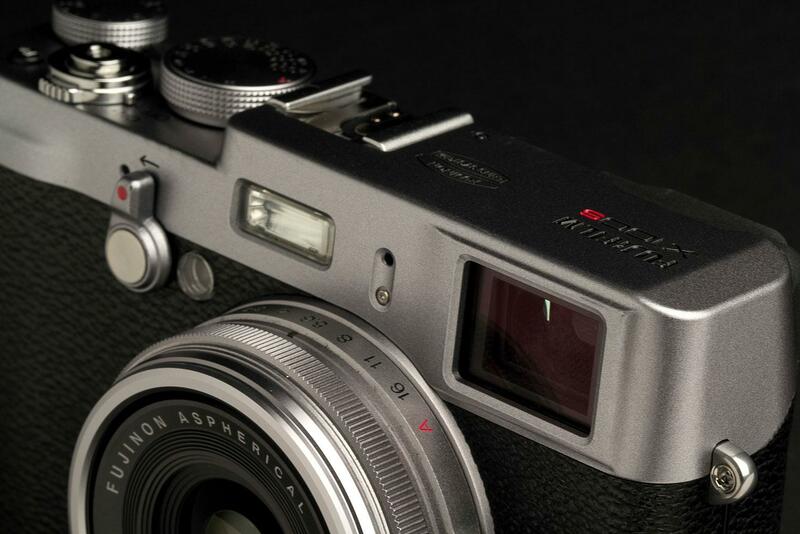 The Fujifilm X100S comes with a battery rated a solid 330 shots, plug-in charger, strap, lens cap, and USB cable. The supplied CD-ROM has the full 144-page owner’s manual, MyFinePix ver. 4.2 for Windows for handling images, and RAW file converters for Windows and Mac. We suggest Fujifilm add a short “getting started” brochure to help people get up and going quickly without burrowing through a manual on their computers (although we do recommend reading the full manual because this is one sophisticated camera). We used the X100S over the course of several weeks and were sad to give it up since the camera has so many features that we just sampled rather than mastered. Before getting into the nitty-gritty, we’ll state up front this is an excellent camera for methodical shooters. It’s definitely not for a grab-and-go person who wants a do-it-all camera like the Sony RX100 II we were testing at the same time (review coming soon). That one is much smaller, has a 3.6x zoom, auto modes galore, and captures AVCHD videos. 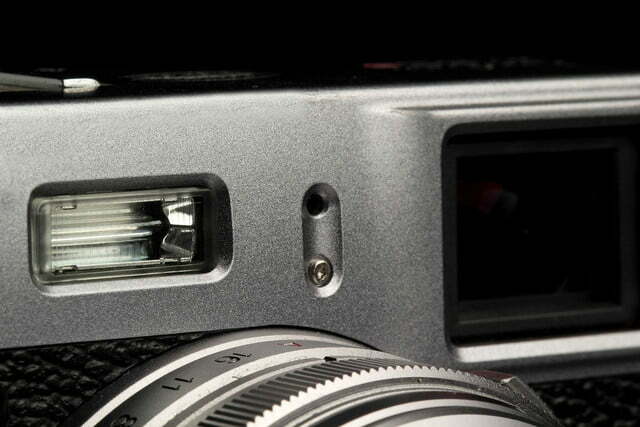 The X100S is fixed focus at 35mm so it’s limited right out of the box. Yet, like the Sony RX1 with its f/2.0 35mm lens – or even the Coolpix A with its 28mm – there’s something that just feels right about a camera with a prime lens. Yes, they’re quaint and old fashioned but quality cannot be denied. When we closely examined the images on a 27-inch monitor, their richness and accuracy were terrific. 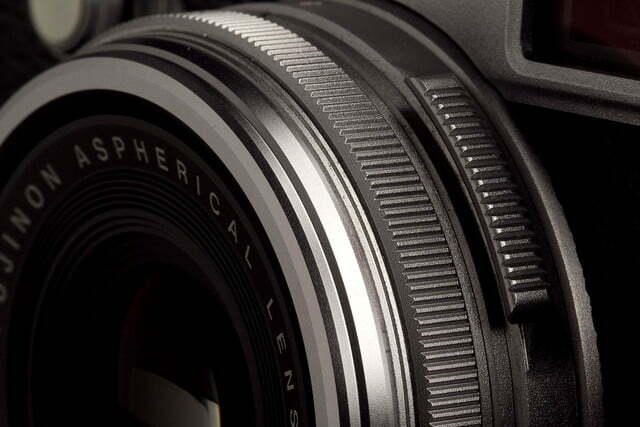 As mentioned earlier, we’re big fans of cameras with aperture rings. 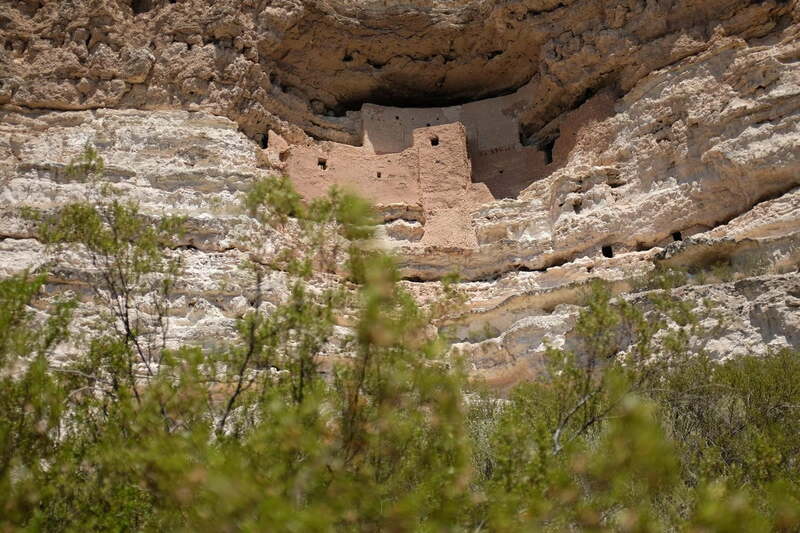 In one instance, we wanted the foliage in the foreground to be sharp with a famed Arizona landmark blurred in the background. Using f/2.0 we got the shot just the way we envisioned. If photo files can be considered as such, they were yummy. 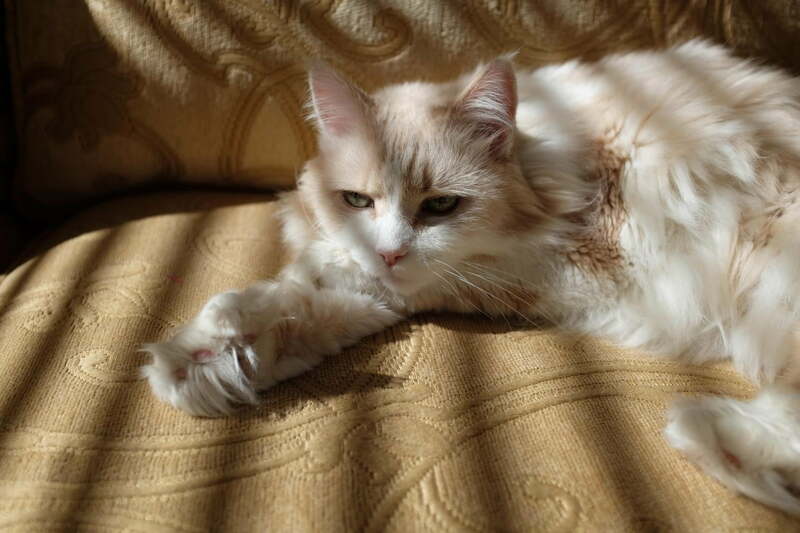 The richness and accuracy of photographs were terrific. The f/2.0 aperture allowed us to get the shot just the way we envisioned. Earlier we mentioned the A setting on the aperture ring. 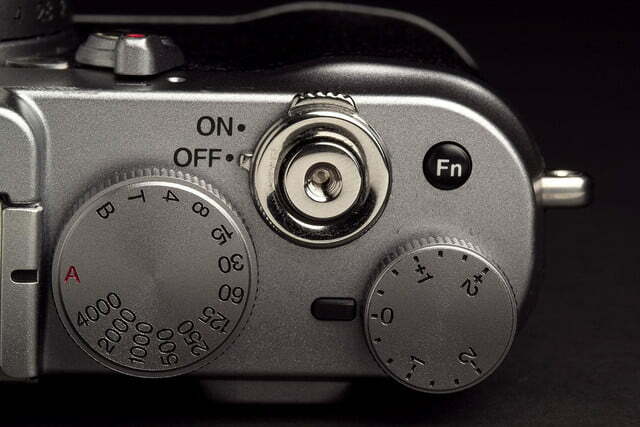 If you leave it there, as well as the A setting on the shutter dial, you’re in Program AE. You can make additional adjustments like white balance but this is as close to an automatic point-and-shoot as you’ll get. Turning the respective dials and you’ll be in aperture- and shutter-priority so you can exercise your photographic muscles. There are so many other tweaks available we can’t list them all but we’ll flat out say this is not a camera for beginners or cursory users unless you’re willing to spend some time exploring it. 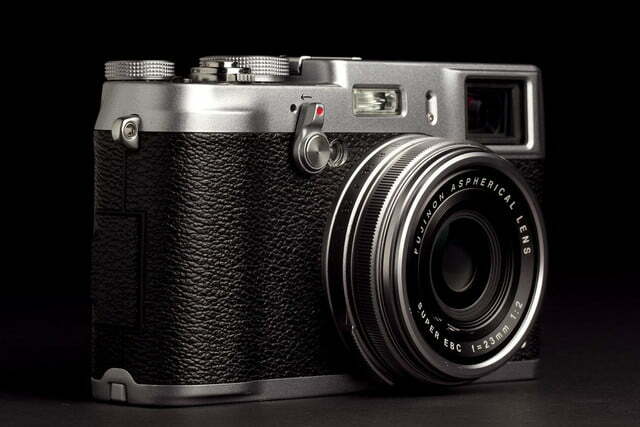 There are many reasons the X100S takes high-quality photos and is very responsive. In keeping with the large sensor trend, it uses Fujifilm’s new 16.3-megapixel APS-C X-Trans CMOS II imager, the same size as many compact system cameras and most DSLRs. There’s no optical low-pass filter so more light hits the sensor for added detail. The company also enhanced the processor (EXR Processor II) to make the camera much more responsive than the original X100. 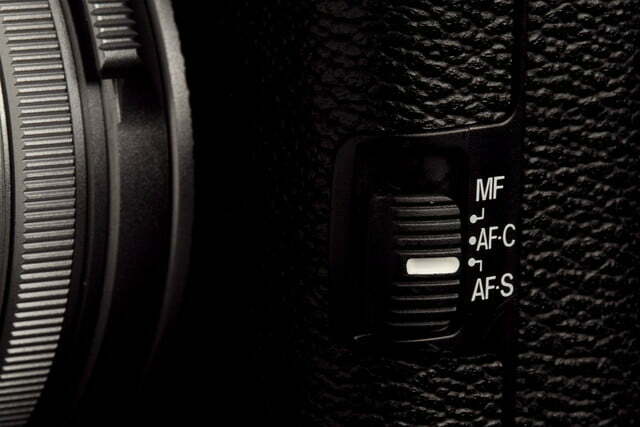 Fujifilm claims .08 seconds for AF; we can’t measure such tiny increments but the camera does grab focus very quickly. In keeping with many of today’s better cameras, it has a hybrid autofocus system that combines phase detection and contrast AF so we never encountered any focus issues, no matter the amount of ambient light or low-contrast the scene. 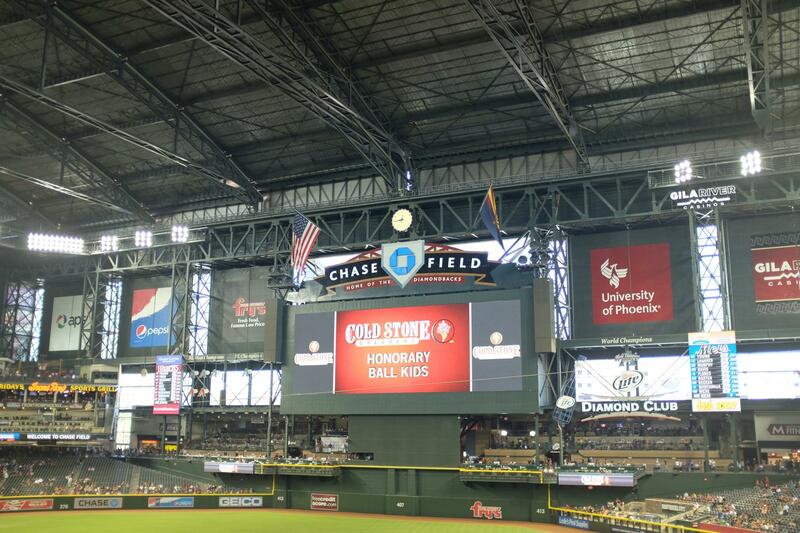 The X100S can shoot 6 fps but we weren’t impressed with the results during a baseball game at Chase Field in Phoenix. No matter how much you may like the 35mm field of view, you’re not going to get great field shots from the second deck! But when this camera gets up close to a subject, it’s right in its element. 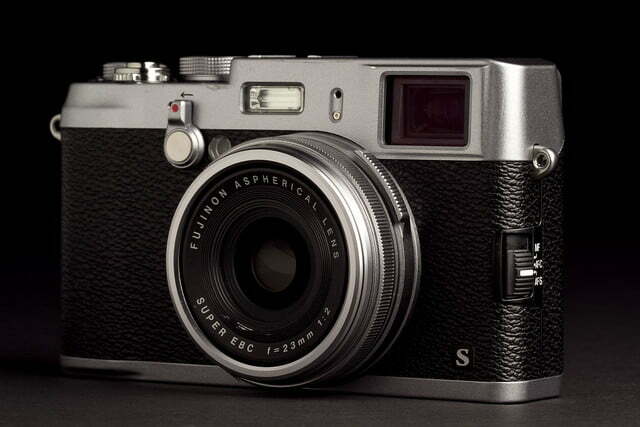 As is the case with so many 2013 cameras, the X100S has a top ISO rating of 25,600 with 100 the lowest option. Native sensitivity is 200-6,400 and Fujifilm recommends you leave the highest settings for special situations because of quality issues. After reviewing our test shots, we agree wholeheartedly. In fact, 3,200 would be about the highest we’d go if you wanted acceptable results. At this level and below we found the camera handled noise very well but there were fairly dramatic color shifts above that point. This camera – and every other one, for that matter – works best in sunshine but our results in reasonably low light were fine, with a nice warmth rather than a cold bath of digital artifacts. 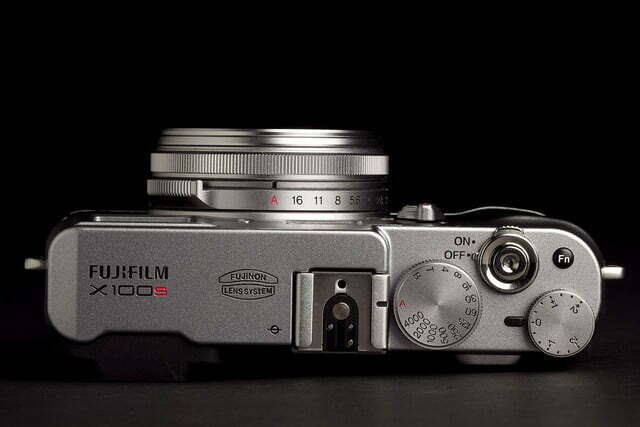 Taking videos with the X100S is simple once you set it to Movie mode. However, the quality isn’t nearly as good as the stills. There was a bit of rolling shutter and moire but colors were generally on target. As is fairly common, the stereo mics do not handle breezes in a pleasing manner – more like a herd of horses running by. The Fujifilm X100S is a very good camera, geared toward photographers who really want control over almost every aspect of still image quality. Street photographers in particular will find this camera appealing. The 35mm f/2.0 prime lens is really sharp, we love the aperture ring and the Hybrid Viewfinder, and responsiveness is top notch. It looks and feels like an old film camera and delivers results that are very film-like, which is very cool. Our only biggest complaint is the price and other issues we detailed earlier. If these things don’t bother you, then by all means order away. After using this X-series camera for a while, it’s easy to see why Fujifilm remains a force in digital photography. We give it an Editor’s Choice award but only for the right kind of shutterbug – those looking for something basic should keep searching.